Our whole family has fallen in love with a new app called Paper. This app by FiftyThree Inc is available for free on the App store: Paper. 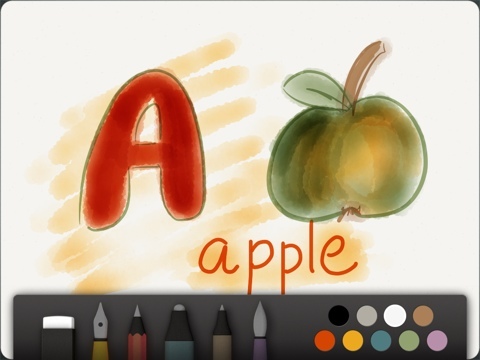 The app is made up of five tools – Draw, Sketch, Outline, Write, and Color. 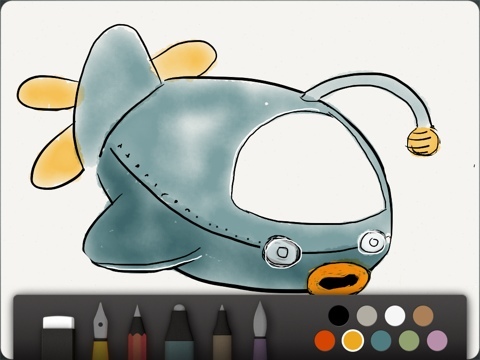 The Draw tool comes free with the app, but the others require in-app purchases. Each in-app purchase is €1.59, or you can buy the entire bundle for €5.99. 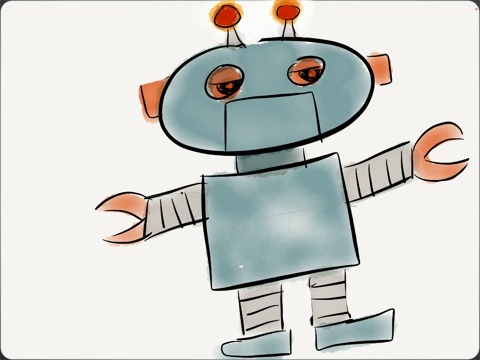 Between them, these five tools allow anyone to get creative. And the app helps you out, smoothing the lines that you draw, and skillfully adding watercolours without any nasty real-world splotches! And if you do happen to make a mistake, a simple circular motion on the screen rolls back the clock and undoes your last sequence of actions. The touch sensitivity is excellently done in this app – each tool is pressure sensitive, drawing thicker or thinner lines, or painting darker or lighter colours, depending on how heavy you press on the screen. Not only are Charlie and I enjoying sketching and painting with the app, but Little Man loves getting in on the act. The interface is simple, and it’s very easy for him to pick his tool and his colours and get to work creating a drawing. Or he’s happy to sit and watch his Daddy at work recreating his favourite Octonaut Gups. I bought this app and its in-app purchases myself, and my opinions as always are honest and my own. This post contains affiliate links to the App store, which may result in me earning a small commission should you make a purchase by following the link I’ve provided. Do you need a stylus? Hi Trevor, No you don’t need one, although it works well with one if you have one. This looks a good app. My partner just got a new iPad 🙂 and so we’re looking for some new toddler friendly apps.